This product is available in eBay, Amazon.in, Ogo1, Amazon.co.uk, Amazon.ca. At amazon.co.uk you can purchase Nokia 105 dual sim 2017 black unlocked for only £18.30, which is 98% less than the cost in Ogo1 (1,190 руб.). 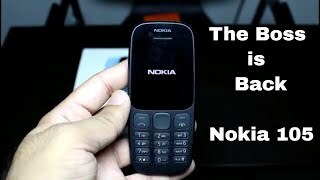 The lowest price of Мобильный телефон Nokia 105 (2017) Black was obtained on April 5, 2019 10:01 am.